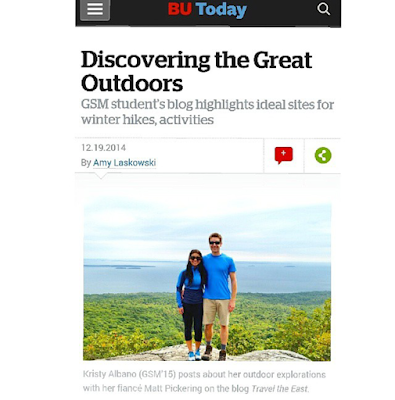 We had the awesome opportunity of partnering up with Boston University in our recent interview appearing on BU Today- Discovering The Great Outdoors! As a student in the Graduate School of Management's Professional Evening MBA program, I couldn't be more honored for the feature and continued support from an amazing community of leaders, innovators and all-in-all great people! Thanks BU, I'm proud to be a Terrier! Click here to check out our article on BU Today!